The right to information (RTI) has come to recognition as a human right in international law. Conventionally, RTI is a means for a person to demand information from a public body. RTI has proven especially potent in the hands of journalists, who seek information on behalf of the electorate to hold public institutions accountable. But in the recent decades in which RTI has attained human rights stature, power in society has shifted in substantial measure from public to private sector. Journalistic inquiry is frustrated by the inapplicability of access laws to private bodies. In India, direct access to the private sector through RTI law was considered and rejected in the 1990s; however, the 2005 RTI Act allows a generous measure of access to non-governmental actors with public ties. A legal movement has been gaining steam in Africa to push past the public-private divide and recognise the importance of RTI to protect human rights regardless of the public or private character of the respondent. Different approaches are emerging with respect to journalist access in the African model. Amid trending privatisation and burgeoning private power, the time might be coming for India to reconsider the road not taken. 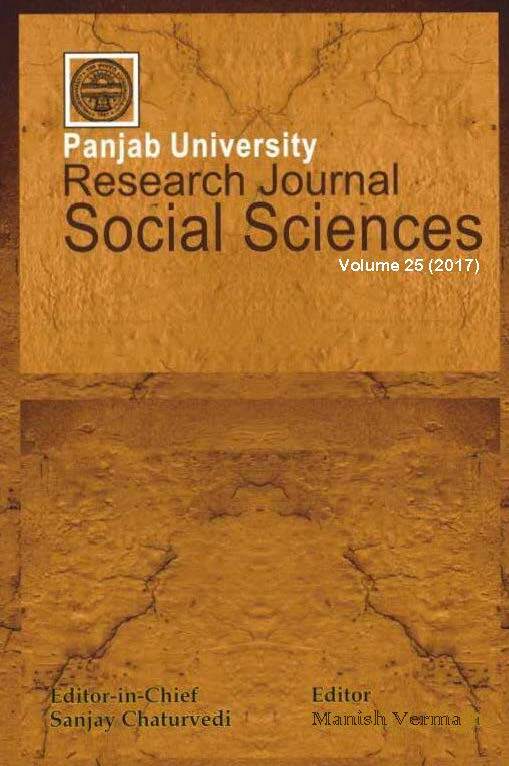 The Research Journal Social Sciences is a peer-reviewed publication of Panjab University in union-administered Chandigarh, India. Panjab is a public university on 550 acres, enrolling 17,000 students in 78 departments and 15 centers for teaching and research, including a law school. More than 250,000 more students are enrolled in 198 constituent and affiliated colleges and centers throughout the region. Founded in 1882, Panjab was split in the 1947 partition of India from the University of Punjab, now in Pakistan. This issue of the journal is dedicated to development and mass communication. I was fortunate to be invited to contribute by the special editor of the issue, Dr. Manish Verma (LinkedIn), who serves as director of international affairs and director of the School of Media at Amity University Jaipur in Rajasthan. Dr. Verma is a Ph.D. graduate of Panjab University and an alumnus of the Executive Program in Management and Leadership in Education at Harvard University. He's also a top-shelf colleague.